You will fall in love with this beautiful 4 berdoom (1 King, 1 Queens and 2 twin bedrooms) 3 Full Baths home with large lanai, heated swimming pool, spa, outdoor bar/refrigerator on Ridgewood Lake Golf Course. Great home design with four access ways to pool. Pleanty of room for all with living room, large den, formal dining area, eat-in kitchen with eating bar with 4 stools, new granite counertops and looking out at pool. Den with 46" HDTV seats 8 comfortablly. Our home has the best floorplan in the entire community. Nice yard area on golf course. There are four entrance to pool so convenient with beautiful views. House is child friendly with disney bedroom,, lots of games, stroller, tennis rackets/balls (provided) and a private yard. All entrance to pool have child alarms in case your child enters the pool area without you. With master bedroom in fromt, kids rooms in middle and queen room in back lots of privacy for everyone. Master and queen bedrooms have private bath and(twins share one full beth. No rear neighbors so lots of privacy yet you can watch the golfers go by from a safe distance. As the homeowners we do have high standards and continue to update our house. Kitchen remodeled - Grantite counter - eating bar with 4 stools, new stovetop, dishwasher, garbage disposal, painted etc; new screen enclosure around lania and pool/spa. New bedding in all rooms. 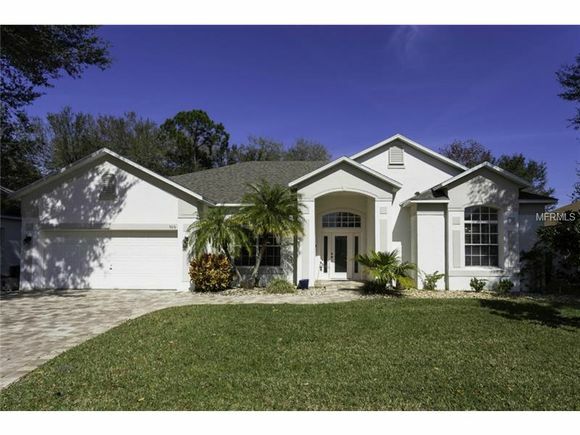 Home is located in prestigious Ridgewood Lakes Golf and nature community. Ridgewood is one of the nicest community in Orlando areas and it's easy and conevnient to everyone - Located approximately 9 miles about 15 mins from the Walt Disney World Resort, Ridgewood Lakes is off Hwy 27 and just 2 miles from I-4. 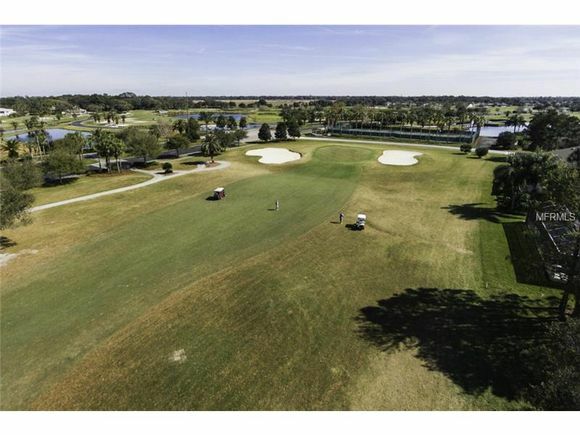 Set in a gated community for your security, it has its own 18 Hole championship golf course with practice facilities, pro shop and resturant. You will see the lots more wildlife when you play the course or enjoy walking or biking down our walking/biking paths. Tennis courts ( we provide tennis rackets and balls), Fishing Lakes and Cycle tracks are also another plus point for this lovely community. Plenty of resturants near by without having to go into the Disney complex. Grocery, pharmacies, movie theather, shopping and convenience stores are minutes away.There is a new shopping complex opened on the I4-Hwy 27 junction, Dicks Sporting Goods, JC Penny,Target, Ross, Restaurants range from Pizza to nice dining locations and a new 10 screen Movie Theather. Request - If there is someone you need just ask for it. Excellent Property Manager is local and ready to help with any requests. Daytona is approx 70 miles away. Beach lovers, Clearwater and Tampa is just an hour away, on the West Coast and Cocoa Beach on the East Coast is also approximately an hour too. LEGO LAND is 20 miles away near Winter Haven ! Reply from Georg (FloridaBestViillas) Herzlichen Dank fuer die Beurteilung, ich habe das Besteck dem Inhaber mitgeteilt, bin moren slebst in der Nachbarschaft und schaue auch nochmal nach, es ist gerade eine andere deutsche Familie im Haus und ich hatte nichts darueber gehoert. Reply from George (FloridaBestVillas) As always, many thanks for the review. I checked and the villa shows no grill as amenity. The grill at the house is private and not accessible to guests. I can't comment about the TV, as the guest staying in the villa the very same day of departure had no problems. Reply from Hausbesitzer Vielen Dank fuer die Infos, wir haben daraufhin eine neue acuzzi Pumpe einbauen lassen und nun funktioniert alles wieder wie es sollte. Und die Hausverwaltung haben wir auch gewechselt.